SCORES of children were given a history lesson along with a workout in the pool as they took part in the annual Penrith Swimming Club gala. The club, thought to have been founded in the 1880s, holds the event each year for pupils of small, medium and large schools in and around the town. 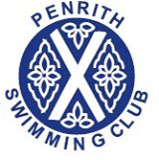 The event is steeped in history and was formerly held at the town’s open Frenchfield pool before being moved to its currently indoor venue at Penrith Leisure Centre. A number of trophies are awarded at the annual gala, with some dating back to the early 20th Century. The oldest is the Dixon Shield, which dates back to 1926. This was originally awarded as an in-house prize for the Boys’ National School, and is currently contested for by Beaconside School children. This year, Callum Harkes took the honours ahead of Lucy Monk, second, and Abbie Davidson, third. A total of six schools, with teams of between 10 and 15 members, took part in this year’s gala with races over 25m and 50m for freestyle, breaststroke and backstroke. There were winners of the small, medium and large school sections, these being Lazonby, Yanwath and Stainton, respectively, with Yanwath scooping the overall award. At its height, the gala attracted entries from 15 to 20 schools. One of the organisers, Rosie Huggon, is hopeful that the event can become more popular in future years. Anybody who would like more information can visit Rosie at Birtle’s Sports, Penrith.